What can I do with this steering wheel? I found this steering wheel + "dashboard" combination among some parts I bought. What is it, in what kind of models is it used, and can I do anything else with the "dashboard" (for lack of a better word)? 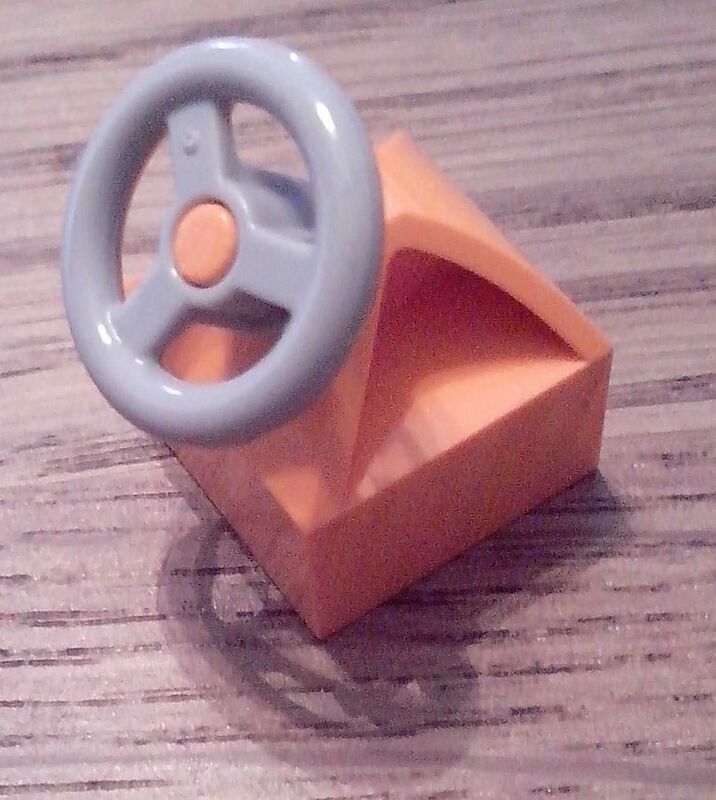 It seems like a rather large and specific part, just to hold a steering wheel. This steering wheel is from 4613-1: Turbo Chopper, as this is the only one with an orange version of this element. Not the answer you're looking for? Browse other questions tagged piece-information set-identification or ask your own question. What are the exact dimensions of a DUPLO brick? What is this weird and specific technical part? What is this cylinder like part? What are some uses of part 93589?